Two years after creating the market, Apple Inc. remains the king of all media tablets, with its global market share rising to nearly 70% in the second quarter, putting the company on pace to reclaim much of the dominance it surrendered in 2011. During the second quarter this year, Apple shipped 17 million iPad 2 and new iPad media tablets, up from 11.8 million the first quarter, according to iSuppli Display Materials & Systems Service. This industry-leading increase in shipments translated into a market share gain of 11.5% points, as Apple’s second-quarter global tablet share climbed to 69.6%, up from 58.1% in the first quarter. 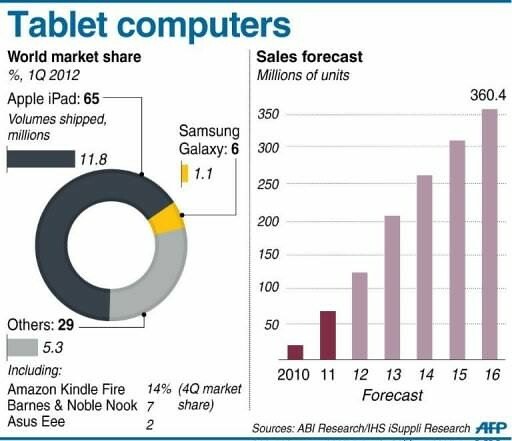 And you thought Samsung beat Apple Inc.'s iPad hands down with more Galaxy Tab variants in the market? Maybe one day, but for now iPad is the king. Apple has single product, the iPad (the latest iteration being the New iPad). The reason for the overwhelming support for the iPad? Research shows that satisfied users are likely to go back to the same brand for their next purchase. It seems that Apple already has developed a solid future customer base, which will continue to strengthen barring a major stumble on an upcoming product release. The iPad Mini comes to mind. Android and iOS devices battle it out. This posting is not about comparing which brand is superior; it's just so we know how the tablet PC is expected to shape in the near future. 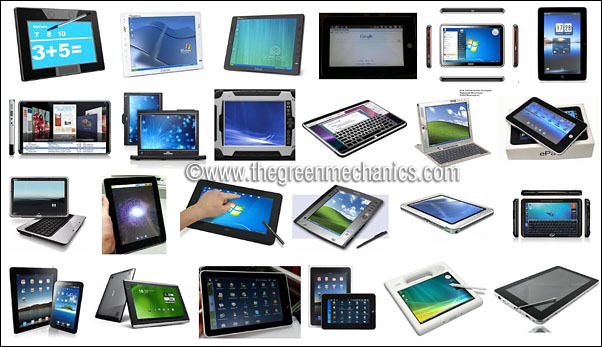 Today there are about 120 million tablet computers in the market. By 2016, it is estimated that this will triple to more than 360 million. This, in some way reinforce my contention in my previous article that there maybe possibility that tablet PC will make its way to schools in place of the heavy school bags. These tablet PCs could be the super text books in the near future.